21 December 1988, the day Pan Am flight 103, Clipper Maid of the Seas, was destroyed by a terrorist act, is a date that anyone connected with Pan American World Airways – passenger, employee, friend or fan – will always be, to quote President Franklin D. Roosevelt, “a day which will live in infamy”. For many, this tragic and awful catastrophe marked the beginning of what was to be the slow demise of the once great airline. During the course of the past two weeks Pan Amers all over the world have been posting messages on the social media with thoughts about the events of that horrible day and the loss of their colleagues and passengers on that flight and the people of Lockerbie, Scotland. In addition, memorial events have been scheduled around the world as well as a call for a moment of silence at 1902 hours, GMT, the moment Clipper Maid of the Seas disappeared from radar. On 21 December 1988 Clipper Maid of the Seas (Clipper 103) operated the London-New York sector and pushed back just after its scheduled departure time of 1800 hours. Paula Helfrich and Rebecca Sprecher in their novel, Flying – a novel, dealt with that day through their fictional character Zoe Longfield. The pre-departure events described in the excerpt below are factually correct. “Zoe heaved her crew-bag over the aircraft’s wet doorsill, the rain seeping around the jetway’s transom on this rainy evening. Hawea’s nanny had been late arriving at the flat, so she’d rushed to the airport in a hurry. As she passed through the doorway, she noticed a small chip in the molding of the emergency slide. “Damn, Morning Light, here you are again!” She smiled ruefully at the maintenance chief, who turned the pages of the ship’s maintenance log for the engineer’s signature as he headed out on his pre-flight check. Making a bet with herself, she checked the history of cabin maintenance items going back several weeks. Sure enough, N739PA’s aft toilet banks had been inoperable on at least 15 log entries, and all had been written off. One acknowledgement out of Amsterdam responded to the entry “Toilet 4-3 broken,” with a terse, “Still broken, but trying.” She laughed and showed the maintenance chief. “’Yes, miss, sometimes it’s a bit tough to get all these moving parts moving in the proper order.’ He noted that the aircraft had just come in from San Francisco some four hours earlier, and they had not been able to schedule several major cabin items due to a worker shortage and the weather. “He laughed, ‘G’wan, then. Yer not that old! Besides, she was Morning Light for a long bit, and then the big brains changed her name to protect the innocent. Now they’ve called her Maid of the Seas.’ Look, they’ve even repainted the name on the nosecone.” And sure enough, they had. “Maintenance workers in blue uniforms swarmed over the exterior of the aircraft, refueling from massive fuel points set into the cement apron and conferring over maintenance items. Ramp workers drove out the long buggies of baggage containers, which had sat in the rain all day, unsupervised, set up by some anonymous daily planning docket. She looked casually out as the ramp workers maneuvered the first silver baggage container tagged AVE4041 up the belt. Engines roared from the takeoff runway, aluminum baggage cans rattled, and voices crackled loudly on two-way radios, their words indistinct. Permeating all of this familiar mayhem was the heavy, sweet-thick smell of jet fuel and machine oil and the constant scream of accelerating engines. “Zoe looked out at the rain falling steadily, softly, creating a grey ground fog on the tarmac and a ghostly pall over the other aircraft in the middle taxiway as they glided past towards the active runway, their colors muted in the mist. In the First Class galley before her, two port stewards conferred with the flight attendant on duty, covering the inventory of meals, equipment, supplies and special orders that had been loaded and labeled in each galley compartment. They laughed companionably, and the younger of the two men, a handsome man of Mediterranean complexion, flirted amiably with the attractive German flight attendant. Zoe smiled, catching the eye of the older steward and rolling her eyes, causing him to laugh out loud and nudge his colleague. She laughed, shaking her head and heading down the left aisle to the economy section galley. 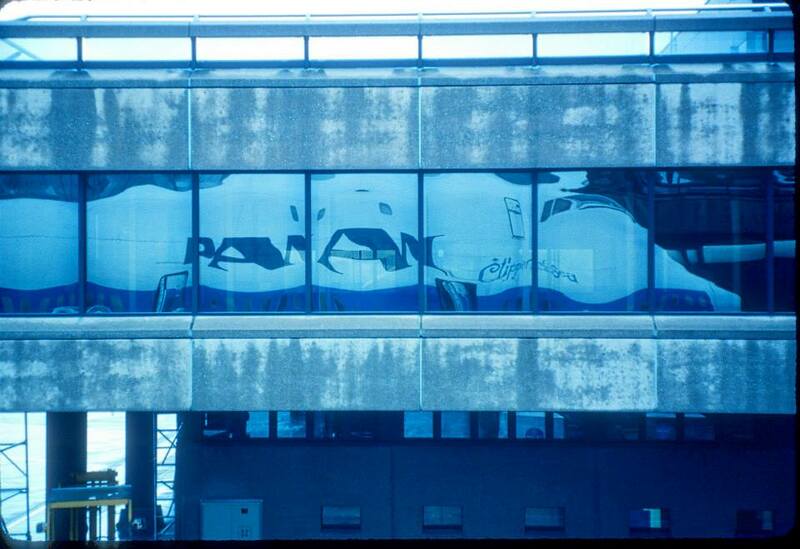 “Several of the crewmembers were gathered there, discussing the latest in the depressing news about Pan Am’s seemingly endless financial woes while they went about the business of preparing for another load of passengers. They were a collegial, cosmopolitan group. Zoe had met or flown with most of them in one place or another. She had shared the December 24th birthday of the French woman some years ago in Beirut at a wild all-night party. She heard the accents of Germany, England, Ireland, Spain and the Scandinavian countries. 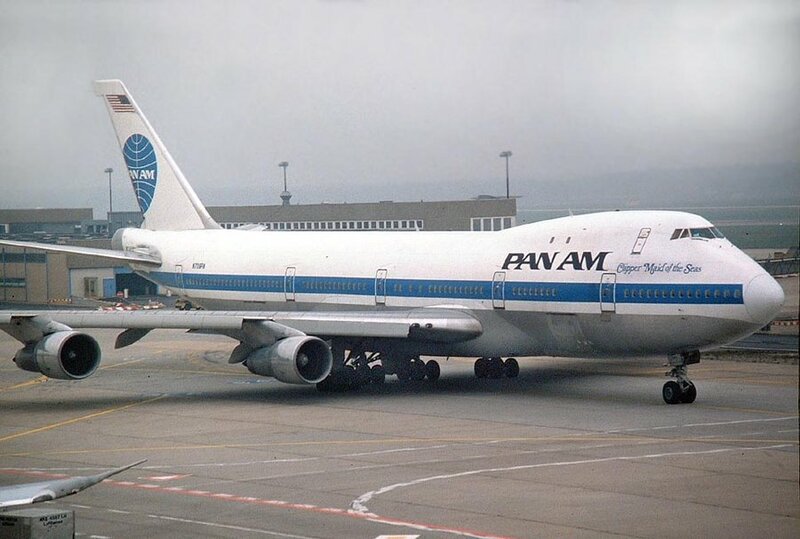 Crewmembers recounted stories of paying several hundred dollars to commute from Berlin to London on a Pan Am subsidiary, and then working back from London to Frankfurt later that day. It was a crazy world, and every dollar was measured twice. “There were 13 working crew altogether, almost all based in London. The cockpit crew was from New York, and all were tired from the ongoing anonymity of the new scheduling policies, in which practically everyone was a stranger. The cabin crew were somewhat alienated by the new locked doors and cockpit-exclusive rules. Everything appeared to be more-or-less on time for a 6 p.m. departure, with the cooperation of the weather. “The load was forecast at 257, with a few deadheading crew and Christmas vacation non-revenue passengers hitching a ride stateside for the holidays ahead. There was the usual mix of Europeans, Americans, students, diplomats, military and civilian families, single soldiers, businessmen and professionals. As was typical these days, the load was heavy in First Class and Clipper Class, and fairly light in the three economy sections, where savvy travelers could snag several adjacent seats in a row for a good night’s sleep. [Zoe] had volunteered to work in the First Class section where there was an extra jumpseat, and the load certainly warranted the extra hand. The briefing was soon over, and the crew dispersed for duty-free shopping. “[Zoe took a] look through the preliminary passenger manifest, listed by name and seat number. Businessmen and senior professionals in the First Class and Upper Lounge, many with VIP codes next to their names: DALPO—do all possible, or EXCOR—extend courtesies. A number of diplomats, techies and university professors in Business Class were often distinguished by their titles. She thought of the impossibly handsome man she’d known briefly, seated opposite her jumpseat, his slow smile of recognition, their brief and white-hot affair. Pahlavian had reappeared in her life just days before with pleasant surprises, and they’d agreed to have dinner when she returned, after Christmas. Nowadays, most surprises have to do with who might blow us up. “She noted two stars in the Clipper Class section: Gannon, 14-J and McKee, 15-F, who appeared to be travelling under diplomatic status but with military recognition. Another Swedish diplomat named Carlsson was seated nearby in 17-H. She frowned slightly and noted the anomaly. “In the economy sections, the demographics loosened up and passengers were spread out, leaving empty rows in the middle of the aircraft. The list showed lots of single travelers—professionals or sales executives, military officers and enlisted, some with family members seated next to them. There would be many students travelling alone for the holidays. She noted the name of a young student, Khalid Jaafar in 53-K, almost the last row, as the only ‘profile’ candidate on the plane. Stop being stupid, she told herself. There were several young couples. Some special needs coded: diabetic meal, vegetarian, hamburgers, seats together. No birthdays or wedding cakes today. These codes were clustered around seven families travelling with elderly parents or teenagers, some younger children. Baby meals and bassinets were noted for six infants and toddlers travelling with their families. On a flight like this, it would be easy to move passengers around, ensuring an empty seat next to a young military sergeant travelling with her infant child in seat 32-K.
“Waiting for the boarding announcement, [Zoe] took a few moments to observe the actions of the young flight attendant she was check-riding, noting her calm assurance and professional demeanor with approval. She thought of her training check-ride so many years ago with Sally—sweet Sally so far away in Hawai’i, so happy and settled. She was sorry that their friendship had gone on hold. “The old-timers and the Sky Marshalls had taught her to read the manifests, something crews rarely had time to do these days, but it gave an airline an advantage to find someone a birthday cake and have the crew sing, to deliver a bottle of champagne for an anniversary or to an obviously enamored honeymoon couple, or even to folks who had just met. At least tonight, just a few days before Christmas, she thought it might be a great gesture to offer a bottle of champagne to the oldest passenger, seated in 26-F, Ibolya Robertine Gabor, a 79-year-old Hungarian who had ordered a wheelchair on arrival in New York. “Military personnel were noted on the manifest for any special duties and emergency assistance, primarily because of their training. Some Pursers at holiday times offered on-the-spot upgrades, or asked other passengers to step aside to allow the young soldiers to leave the aircraft first, a form of honor reserved only to the Purser’s discretion, and not found in any regulation book. 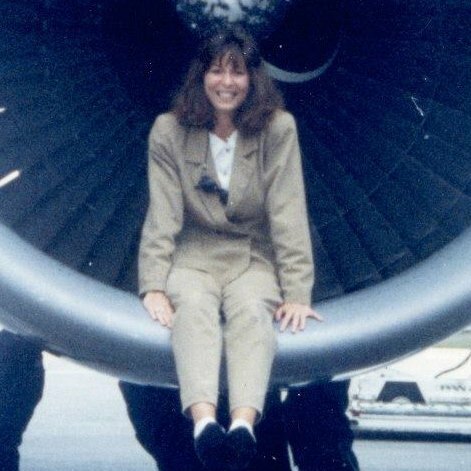 “She took her assigned position as the passenger-boarding phase was announced, greeting passengers cheerfully and recognizing names or seat numbers she had noted. “The Purser signaled the imminent departure by announcing that the doors had been closed. . .
At about the same time, Roger Cotton, a London businessman driving west on Bath Road, which runs parallel to Heathrow’s runways, saw a Boeing 747 lift off and noted that it was a Pan Am Clipper, likely heading to New York. In London, Denny Rupert, a student on his way to the United States to visit his parents for the holidays, had checked into a hotel for the night. He was originally booked on Clipper 103, but elected to take a flight the next day so he could spend extra time in London with friends rather than his parents in Minnesota. At about 1900 hours, at 31,000 feet with a ground speed of 434 knots on a northwesterly track of 321 degrees, Clipper 103 was picked up by the Scottish Area Control Center at Prestwick, Scotland, where it needed clearance to begin its crossing of the Atlantic Ocean. The aircraft appeared as a small green square with a cross at its center showing its transponder code. The code gave information about the time and height of the plane: the last code for the Clipper showed it was flying at 31,000 ft. These were the last words heard from Clipper 103. Soon after that, air traffic controller who watched the Clipper as it crossed Scottish airspace, saw that the aircraft’s transponder stopped replying somewhere over Lockerbie. The ATC controller tried again to communicate with the aircraft, but there was no reply. Not one, but several radar returns on his screen altogether disappeared. “[T]he Senior V.P. of Operations’ secretary came through the door and announced that the airline’s system control group had just been informed that Flight 103 had disappeared from the radar during departure from London and was presumed down. Soon after that, network news reports flashed word throughout the world that Pan Am 103 had gone down in Lockerbie, Scotland with the loss of 243 passengers, 16 crewmembers and an unknown number of casualties on the ground. “The company’s aircraft accident contingency plan was immediately activated. Every key department was involved and a 24-hour command center at Kennedy Airport was established to coordinate company post-accident efforts and assign duties. Concurrently, a go-team was assembled primarily from Flight Operations and Maintenance and Engineering with supporting members from other departments to assist in the investigation at the accident site with government investigators from the U.S. Federal Aviation Administration (FAA), National Transportation Safety Board (NTSB ), a Boeing representative and a large contingent of investigators from Britain’s Air Accident Investigation Branch (AIB). Representatives from the Airline Pilots Association (ALPA) and Flight Engineers International (FEIA) unions also flew to the scene and assisted in the effort. “As a member of the go-team I assembled with the rest of the group at Pan-Am’s JFK Worldport that evening to catch the evening flight 002 to London. Captain Bob Gould, Senior Vice President of Operations, would lead the team. The Worldport was a somber and frenetic scene swarmed by media reporters with their cameras and lights intent on capturing the sorrow and anguish of relatives and friends gathered there to meet those who would never arrive on Flight 103. Company representatives were on hand to lend what comfort, support and assistance they could at a time of bottomless despair. “. . . We were met at Heathrow by Pan Am staff, whisked to a chartered twin engine plane and flown to an airport near Lockerbie. After quickly dropping off our bags at a hotel, Captain Gould and I split off from the group and had a driver take us about the town and out into the nearby countryside to take in the scope of the accident scene. It was immediately obvious from the large debris area in town and out in the surrounding countryside east of Lockerbie that the 747-100, Clipper Maid of the Seas, N739PA, experienced a catastrophic in-flight breakup at a high altitude. “The nose section had broken off and was in a field outside town with First Officer Raymond Wagner and Flight Engineer Jerry Avritt still inside the wreckage when we arrived. Captain James MacQuarrie lay outside, already covered by a tarpaulin. Debris was visible in the steeply rolling pastures in every direction. A portion of the horizontal stabilizer was off in the distance. An engine lay imbedded in a Lockerbie street. The center fuselage and wings had come down almost vertically, striking a housing area and exploding on impact. Over 10 homes in the immediate vicinity were destroyed and others were badly damaged out to 900 feet. The impact and explosion fueled from the fuselage and wing tanks gouged a huge elongated crater where the houses once stood. Looking down into the scorched impact trench, there were no signs of cabin occupants. About a half mile away, a fuselage section aft of the wing root struck a house and impacted a street leaving passengers and cabin crew tangled and broken in building debris and aircraft structure. Constables guarded the scene. Residents milled about, quietly. “We returned to the hotel, washed up and gathered the Pan Am group for a preliminary briefing. I presented to the group what Bob and I had seen and learned so far: That obviously there had been a very rapid catastrophic in-flight breakup and the aircraft had come down steeply, shedding parts as it descended; and so far as we knew there was no distress transmission from the crew before the plane disappeared from air traffic control radars; and that our objective was to keep an open mind about what might have happened, not speculate, and follow the evidence. But privately my thinking was that by then 747s had been around over 18 years. Pan Am was the driver behind their development. They were structurally damage tolerant, solid planes with robust systems redundancies and in nearly two decades of operating experience at Pan Am, they didn’t just suddenly fall apart in midair. “Something else was going on here. I’m certain the structural engineers from the company’s Maintenance and Engineering Department who sat at the briefing that evening were thinking along the same lines. “[After several days of investigative work] “[o]ur group’s first break, the one confirming our unspoken suspicions, came while walking down a country road when a farmer approached and told us he and his wife had removed a number of suit cases from nearby sheep meadows to keep them out of the rain. He said they were in a shed by his house. There in neat rows were about a dozen pieces of passenger baggage, one with distinct scorch marks. Also that day, one of the British AIB team members noted a distinct bowing out of a fuselage skin fragment. Then a constable accompanying our group found a heavily pitted fuselage fragment in the tall meadow grass. It was tagged and bagged by the constable to assure continuity of evidence and taken away for analysis. The following day the British announced that analysis of the wreckage confirmed that an explosion had occurred in a cargo container in the forward cargo compartment. A later investigation revealed that forces from the blast breached the fuselage and internal shock waves led to further fuselage failures which quickly led to the aircraft’s in-flight disintegration. “On 21 December 1988 I was working in Pan Am’s New York Reservations Department. About 2:20 in the afternoon I was summoned into the Manager’s Office along with about 20 other experienced agents. The manager, Bob Turco, closed the door and said “the 103 is missing.” In 1988 flights between London and New York did not go missing. We all instantly knew that our aircraft, passengers and crew had been lost. We were assigned to work a toll free number for families and friends calling in for information. It was emotionally excruciating as we were not authorized to give out any specific confirmations until London did a flight coupon (this was back in the days of paper tickets) recount, though we could see the passenger list in the computer. “Later that evening I was assigned to begin arranging travel for Next of Kin who wished to travel to the crash site. I worked 24 hours straight and remember a colleague, Cathy Dorr passing me in the hallway and remarking she had lost complete track of time and her only gauge was passing me periodically in the hall and seeing my beard grow in. I finally went home and slept a few hours and then worked another 24 hours on various crash related follow up. I flew home to my family Christmas Eve morning, got into bed and slept for 24 hours. in the cargo hold below. thumbs indented, clutching the yoke. Thanks to the late Paula Helfrich and Rebecca Sprecher for excerpts from their novel, Flying – a novel and to Susanne Malm for her poem. Further information about Flying – a novel is available through Amazon. The Book Pan Am – Personal Tributes to a Global Aviation Pioneer is an oversize hard cover book, suitable for a coffee table. There are over eighty stories written by Pan Amers and friends of Pan Am about historic events during the 64 years of Pan Am’s operations, each illustrated with colorful images that include posters, ads, rare baggage tags, timetables and aircraft. This book is available through eBay or Amazon. Also available is a companion book with a timeline of Pan Am history and images of aircraft, timetables and other memorabilia, see a preview of Pan American World Airways – Images of a Great Airline. The book is also available through eBay and Amazon. Signed copies (on request) are available on eBay and through JPB GOODS on Amazon. Both books can be purchased as a package deal on eBay.